I just thought it might prove helpful to have a thread to talk about equipment and what qualifies as 'standard' or otherwise. Ideally with examples. Should you have input you wish to voice, speak up, and we'll see what happens. It occurs to me at times that we have rules but I've never actually seen a lot of talking about them. Personally, I see equipment being divided 3 ways: standard, special, and safety. I will use Tony Stark from the Marvel Cinematic Universe as an example. First, I will establish what I think counts as 'standard' equipment. Standard equipment would mean the various items, weapons, armors, and vehicles a character normally takes into battle or are typically linked to the character more often than not. 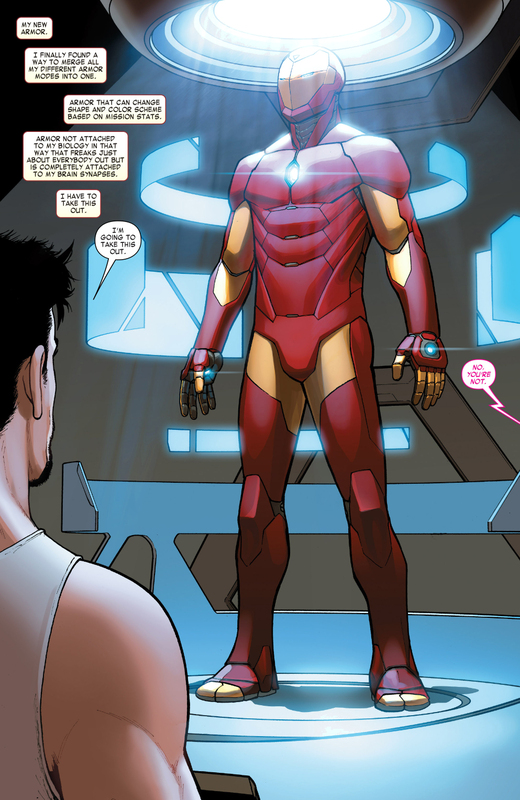 In the case of Tony, this would be his various Iron Man armors from the movies, they're the equipment he usually uses in battle and should he not have them, he tries to get them, which leads me to the next point. Safety equipment is the, "Just in case", equipment- the stuff a character uses when, for whatever reason, their standard equipment is not with them. To again cite Mr. Stark, this would be his briefcase in the 2nd movie or his iron gauntlet from Civil War. Special equipment, or situational items, are things that a character may seldom use to deal with a specific threat or situation. To pull from Iron Man one more time- the Hulkbuster. A suit that Tony does not use for just any occasion- but one that he will use if the need arises. So, by "more often than not", if I were to take Samus, this means her standard equipment includes the following? Mea quidem sententia wrote: So, by "more often than not", if I were to take Samus, this means her standard equipment includes the following? Incarnations obviously still play a role mind you- if a character has actively lost something in canon, like Master Chief no longer has Cortana, then she's not part of his standard equipment because the plot has taken her away. Standard equipment should be something a character carries AND MAKES CONSISTENT USE OF more than 50% of the time. If we brought up iron man, people would try to bring up tech abilities that have not been shown in use since comics from more than 20 years ago, he should not have that tech. ONLY if he shows he is still capable of using an ability with a most recent suit incarnation should he be able to use such powers. No, LOL HIS SUIT CONTAINS EVERY BIT OF TECH HE HAS EVER MADE SINCE THE BEGINNING OF HIS TIME AS IRON MAN LOLOLOL. If we take MC as an example, he would have a pistol, a battle rifle, and hand grenades. To be fair, Tony Stark!Iron Man's recent suit's ability was to combine abilities and modules of his previous suits. That was Tony Stark; however, I'm not sure with the woman or Doctor Doom who are now Iron Men. If there was proof of such a thing, I'd believe you. But I really doubt you will find anything proving such a statement. Who says he cant scrap ideas he thinks are obsolete? Any time he misses a chance to use such a gaget in a very opportune time just adds to my conclusion. You can't blame not using a gadget he 'clearly' should still have and know about on CIS yet still believe his suit contains every idea since the dawn of time. Well, that statement is a thing. I am very much okay with his suit using any powers shown from say.. within 2 or so years, but anything before that should require more proof. Repulsors, unibeam repulsor, flight, shielding, enhanced strength, wrist lasers, hacking, and E.M.P. for base. Stealth is exactly what it says on the tin. It's things such as nanomachines, disruptors, and, maybe, missiles that may not have been there consistently. I love the appearance of that armor. Perhaps it's because it's streamlined. Perhaps it's because it has a seemingly anime aesthetic. And I'm not big on anime.